I got the most amazing text from a friend a few days ago. The J. 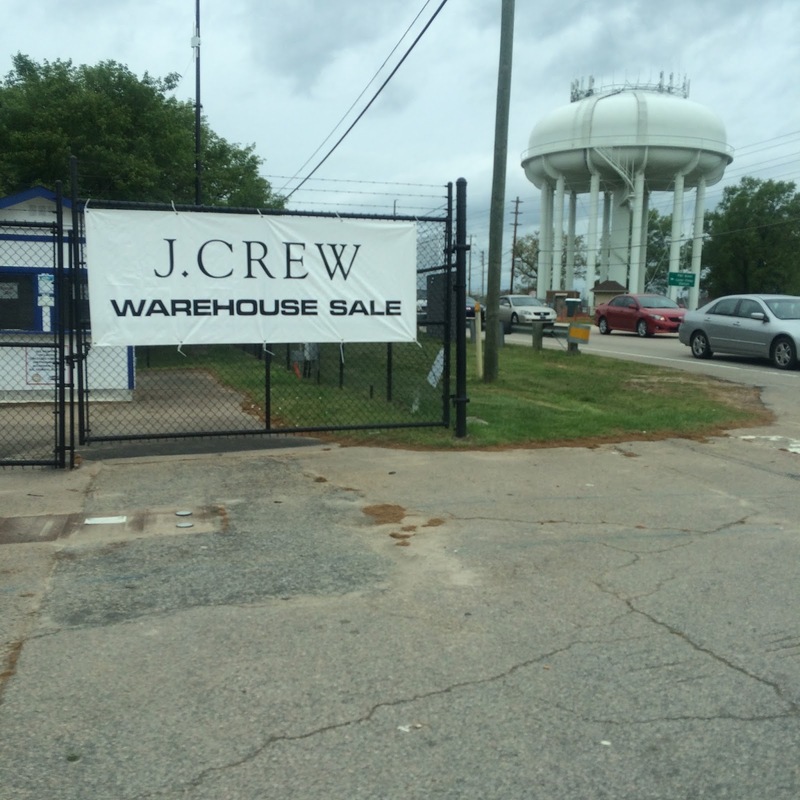 Crew Warehouse sale was coming to Raleigh. It usually occurs a few times a season in the actual warehouses in either Lynchburg, VA or Arden, NC. 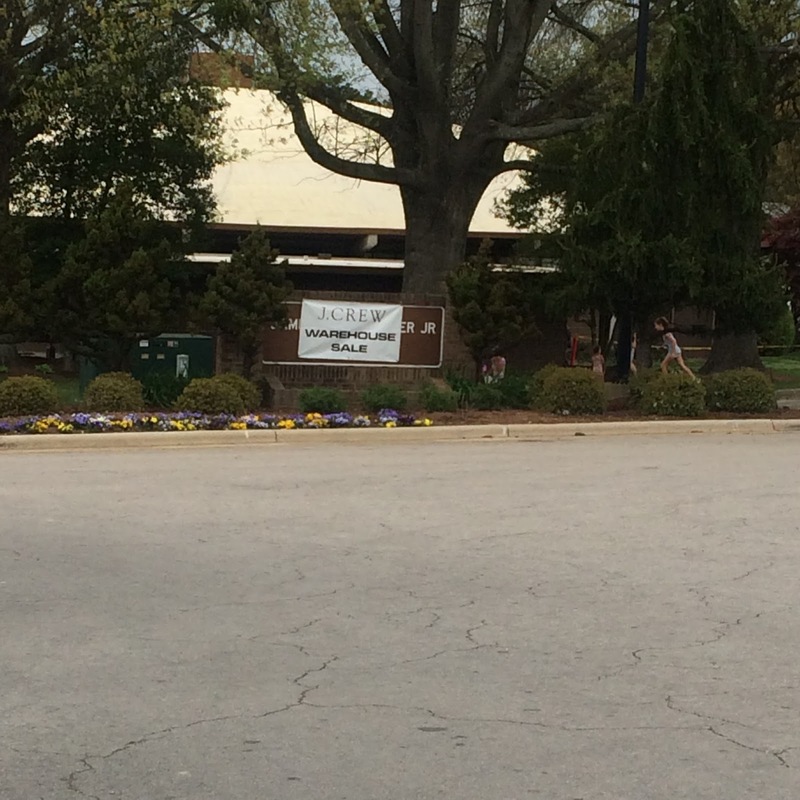 But lately the sale has been traveling and from April 1-3 it traveled to my neck of the woods at the NC State Fairgrounds. Finally! I had to work today but husband and a few friends showed up bright and early. We’ve seen it recommended that you show up a few hours early to these sales but since it was a week day and seems to have very little buzz surrounding it, they showed up an hour early and turned out to have arrive with perfect timing. They were about tenth in line. I ended up going later on in the day after leaving work and stayed until closing. You enter and they hand you one trash bag and a price list and then you enter pure mayhem. 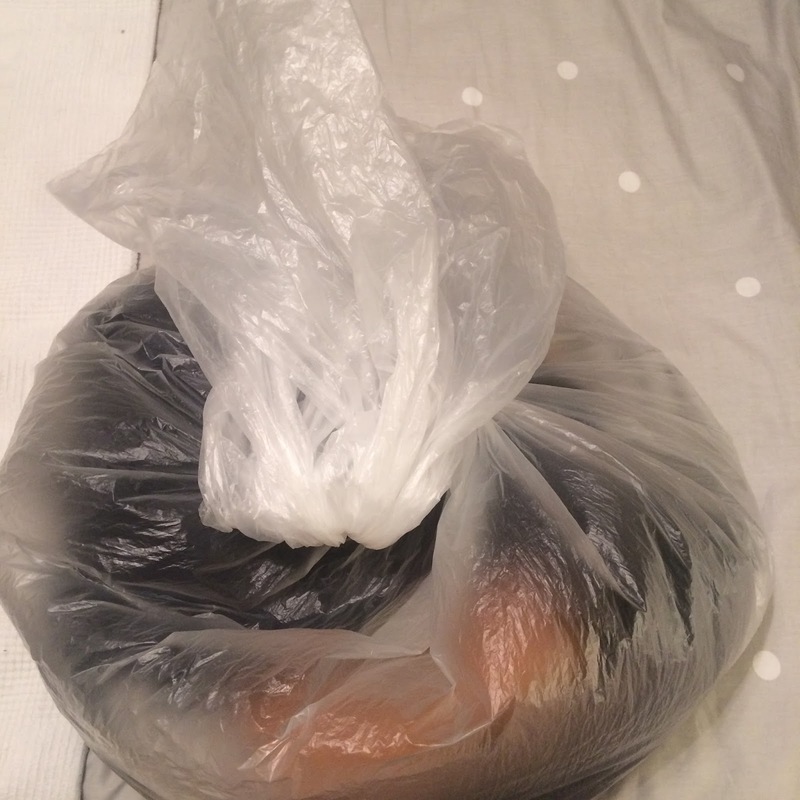 In order to give everyone a chance to shop, each person gets only one bag. COME WITH A FRIEND! I can not emphasize this enough. Because my husband came with me, we just shoved everything into one bag and decided to sort later into his bag. I snagged some incredible deals including some things that are currently for sale in the retail store even right now. Because I worked for J. Crew for a few years while in grad school, I am very familiar with what is a J. 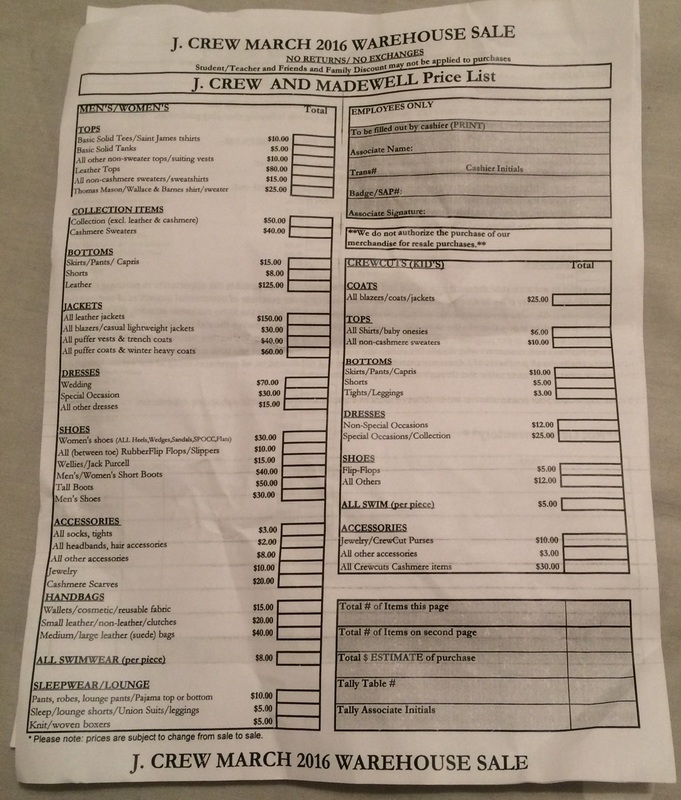 Crew retail item, J. 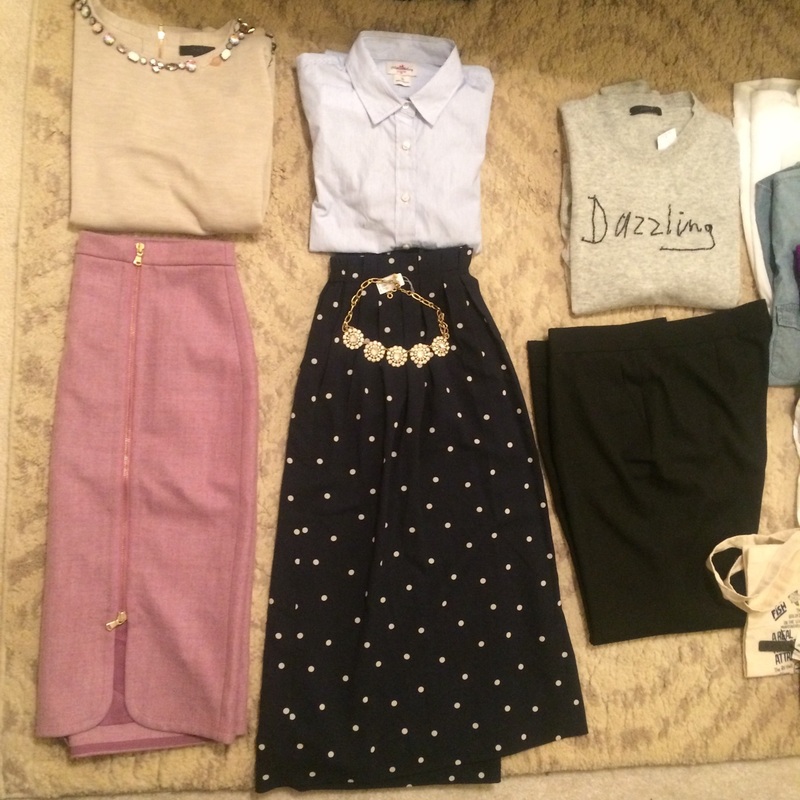 Crew Factory item and a Madewell item. I bypassed the Factory items (known for the double diamond under the J. 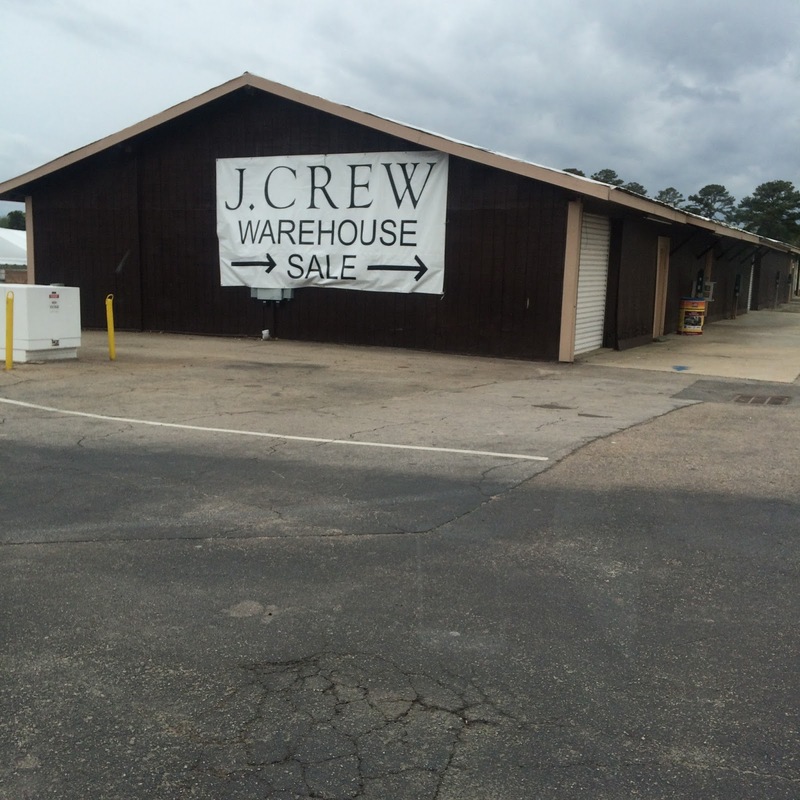 Crew name) and went straight for higher quality retail items. I dug through every single one of the boxes in the warehouse, if that’s hard to believe. My husband is the best shopping buddy in the history of the whole wide world. He has my style down to a tee and we devised a really effective system of searching through the boxes. We looked through the box on the end of the row first. From there, we moved the items from the box next to it into that previously viewed box as we looked through product. We were very efficient in doing so and because we spend so much time shopping at J. Crew it was easy to figure out by touch what we (i.e. me) would like or wouldn’t like. 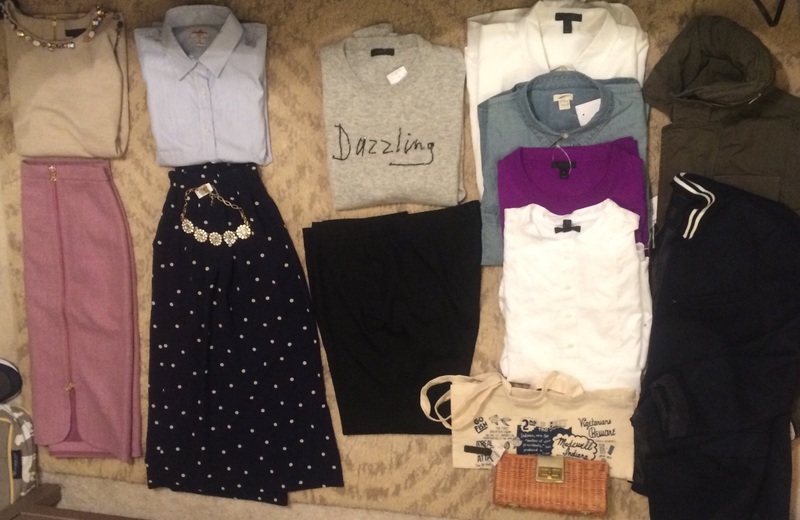 We tossed everything we even remotely liked into our bag and continued to work our way through the boxes. The boxes were a mess by the time I arrived but they were sorted fairly well. If a box had jeans, it was mostly jeans. If it had white button downs, it was mostly white button downs. The product is divided by women’s, men’s, accessories, shoes, occasion dresses and outerwear. After looking, you can spread out on a discard table and try on. There are no mirrors so this is where the honest friend with a fully charged phone comes in handy. Make sure you are checking for stains and broken jewels and snags because every thing is nonrefundable and non returnable. People in the past have recommended that you wear work out gear so you can try things on above your clothes since there are no fitting rooms. I wore a dress since I came from work. This worked out perfectly because I could try bottoms on under it and shirts above it. Tomorrow, I’ll do much the same but with a flesh toned tank beneath it and little biker shorts. I went in the store with some dream items from my J. Crew wishlist and was happy to check off four of them. I needed the white bib button down because I already own one and it is INCREDIBLE so I needed another. 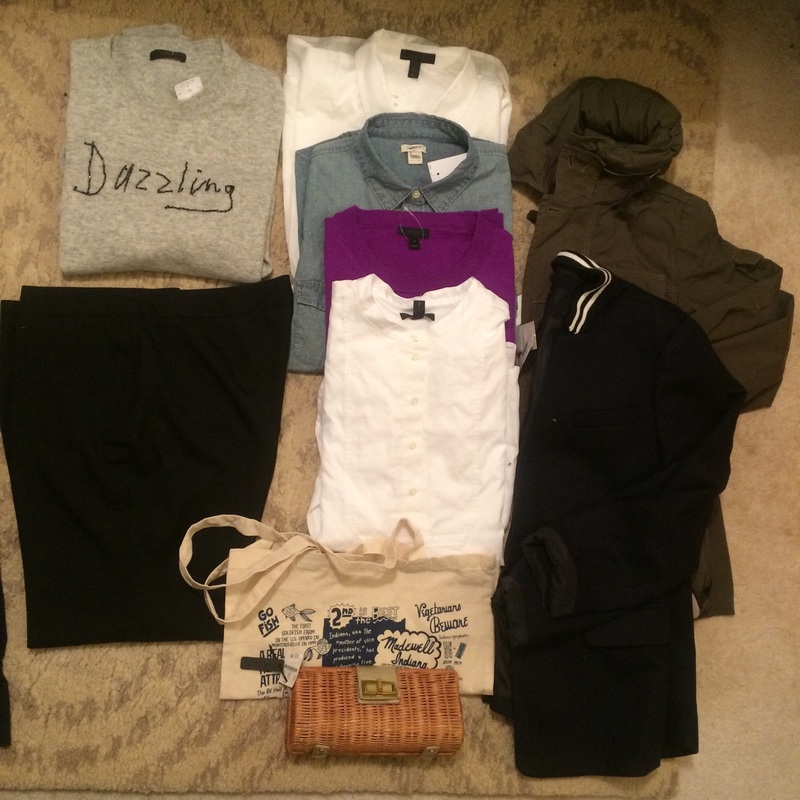 I also needed the wicker clutch, the mechanics field jacket, and another blue and white striped habadashery shirt. 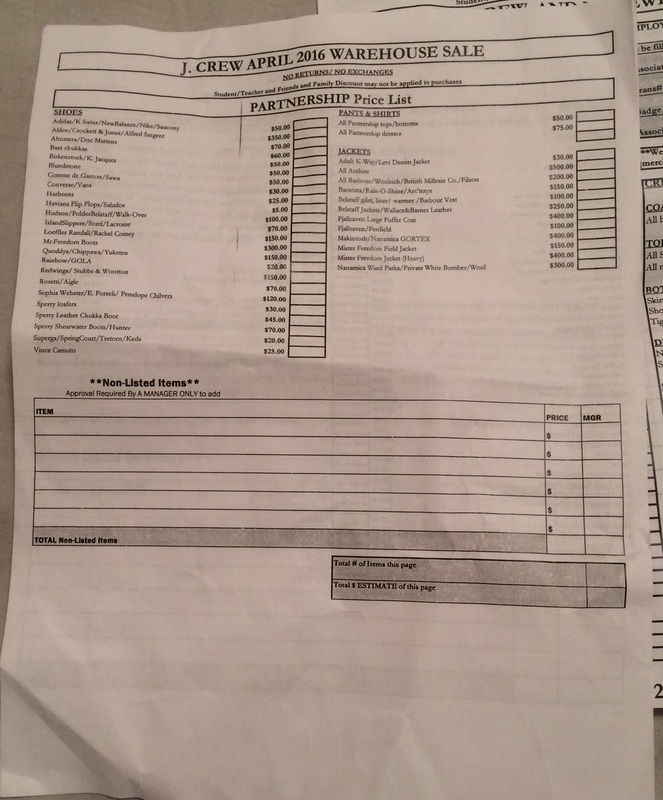 The total on my check out sheet was $190 for over $1220 worth of merchandise (They are not doing teacher/student/family discounts but if you are an associate, that will apply this weekend). Not to mention my husband’s hull from earlier in the day which I will post in a separate post at the end of the weekend. We probably going to pop in tomorrow bright and early and maybe later in the evening on Sunday. Just wanted to get this out on the off chance that I could help someone get to the sale while it’s still in town. Happy shopping! By the way, the price list is below. Hope this helps! Hey! I heard that they do another one in the winter. Do you know when the next one is? Hey Kendall, perfect timing on the question. Yes actually. 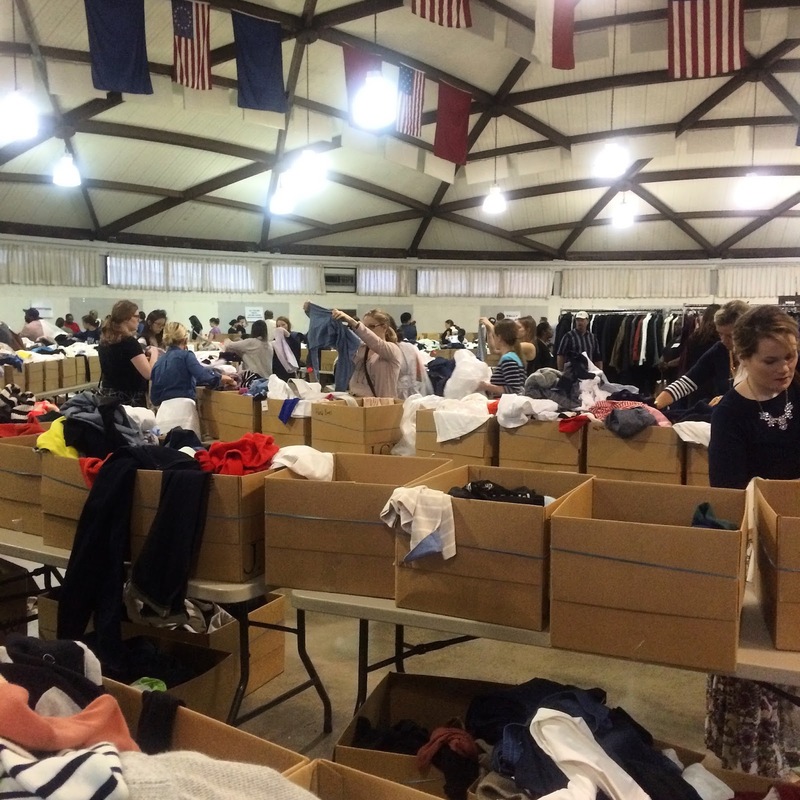 It’s this weekend (12/17-1218)in the Asheville warehouse. Call them for details.